You will be trapping CO2 and producing more Oxygen, replenishing quality groundwater, keeping your property cooler, and reducing dust and pollen pollution inside your home. Your yard can act as an oasis for relaxation. Studies have shown that having regular access to green spaces can increase your productivity, lower stress levels, and generally improve moods.  Research shows criminals are more likely to avoid your home when you have a green lawn. It lets them know that you care for and are aware of what's going on around your home. If you ever need to put your home up on the market homebuyers will be more excited about touring your home because it looks inviting on the outside instead of brown and dreary. First impressions are important.